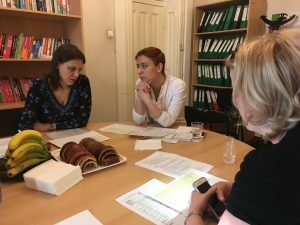 On 26 and 27 April, a new meeting took place in Bucharest, where the Right to Education Foundation and the OTP Fáy András Foundation gathered, the objective of the meeting beeing the project named “CareerProgramme – Going beyond borders” under the ERASMUS + program. The partners were very effective in this two days, and although the work agenda was a busy one, the partners began with smiles on the penultimate meeting. During the meeting, we discussed the results and experiences of the last 20 months, the conclusions being very good. This program is intended to assist both Hungarians and Romanians teenagers in developing essential skills for a better understanding of the labor market and their own needs and abilities. The program proved to be very attractive for students and teachers. 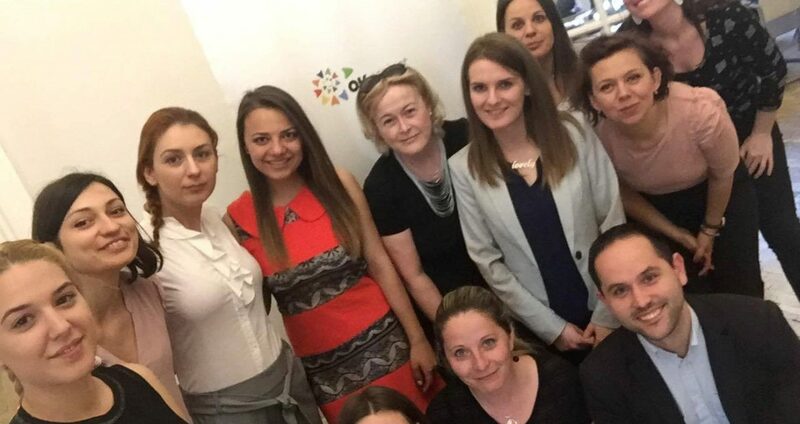 So far, 470 Hungarian students and 320 Romanian students have had the opportunity to participate free of charge and to deepen their knowledge of themselves in relation to their professional goals. The number of participants set in the early stages of the project has been exceeded. 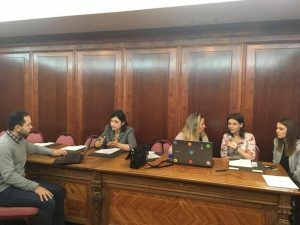 After analyzing the project’s professional activities (project meetings and multiplication events), the representatives of the two foundations agreed the plan for the last 4 months remaining until the project will be ended. The final stage of the project will consist of translating training modules into English, with trainers being certified to support these courses in English as well. 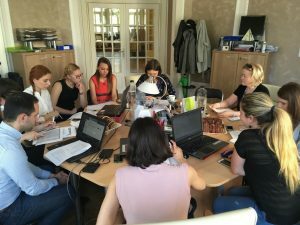 Last but not least, the partners also planned the closing event to be held in Budapest on June 8th, and settled the latest project meeting in August. The trainers exchanged experiences on best working practices with pupils aged 13-18. The project meeting was successfully wound up and the partners are looking forward with confidence and also looking forward to these last months of the project.